Our company believes in offering clients only the best experiences. That means we only use the best products. Key West offers some of the most spectacular scuba diving adventures. 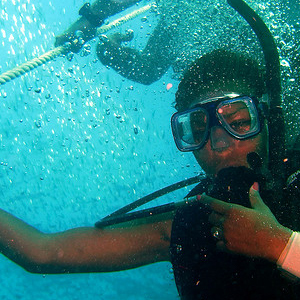 We would like to help each guest explore the many reefs and underwater sites, creating memories that a lifetime. 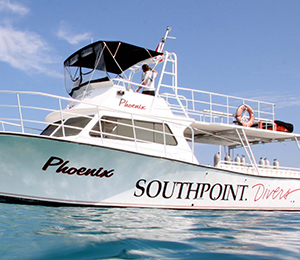 Our 50' Newton Dive Boat offers guests plenty of space and easy access to the water, while also incorporating many of the more practical features to ensure a diving experience of unparalleled safety and comfort. andbull; A large swim platform at the rear of the boat to facilitate andldquo;giant strideandrdquo; water entries and easy exits for divers of all skill levels. 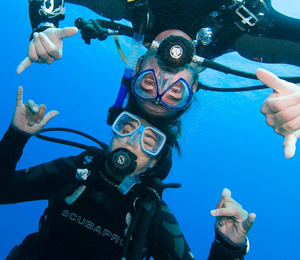 Every guest can enjoy a day both on and in the water, whether they're diving among the many scenic species of reef animals, or taking their ease on deck. 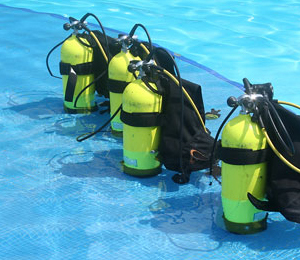 Whatever scuba diving dream a client has in mind, we want to help them to realize it to its fullest potential. We stock every possible amenity and ensure ample space to store even the most precious or delicate gear. Beyond our customized storage for O2 tanks, which keeps them safely tucked out of harm's way, we operate our boat with a rigorous standard of fire safety and operational excellence. Our dry storage will protect any guest's cameras and other sensitive items when they aren't photographing Loggerhead turtles, shy Nurse sharks, and manta rays among the brilliant corals and other species of reef life. Our Newton Special is designed of durable, lightweight materials to reduce weight considerations and maintenance concerns while providing a maximum level of space in which to enjoy the natural beauty of the environment. Its Cored Cabin design offers guests ample space to sit or maneuver and plenty of rack room for gear, oxygen tanks, and other necessities. From the design of lightweight, sturdy dive ladders and ample rear dive platform to custom tank holders, every aspect of our boat is focused on providing for guest enjoyment and safety. When it comes to operating a ship, however small, every captain and crew need to be able to access every aspect of their vessel’s mechanics. That's why we proudly choose to own and operate the 50' Newton Special. It allows us to easily maintain our ship at top running efficiency, and ensures that our vessel will always perform with superior safety and speed. Guests who come aboard can rest easy knowing that there won't be any mishaps to spoil their day on the water. They can relax and focus on the serious business of diving.